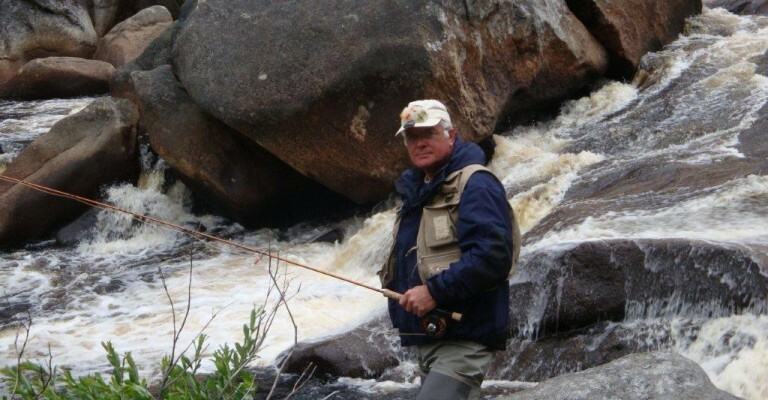 Guests arriving to do battle with the legendary Atlantic Salmon are rarely disappointed. Our early runs of salmon range from eight to twenty pounds and later the Hawke River becomes the home of the grilse, averaging 3 to 6lbs. 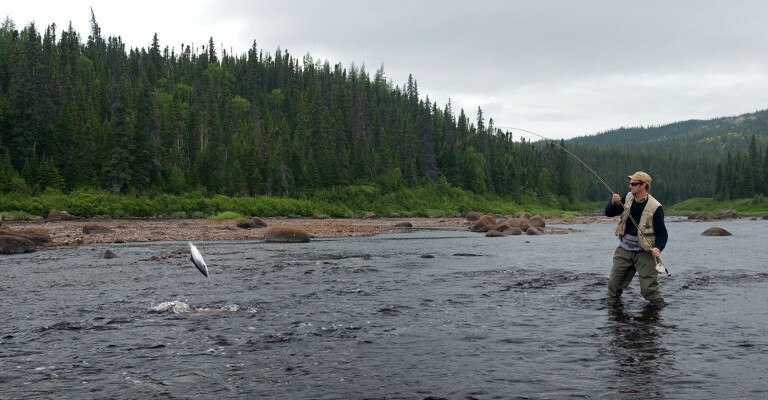 During the grilse run, numerous fish can be seen jumping and rolling all day long. From the novice to the most experienced angler, these fantastic fish will challenge you to the utmost. The following are our suggestions and we are happy to answer any questions you might have. First, we’d like to suggest that you bring at least two fly rods. The camp will have a few sets of spare gear, but having an extra rod is always a good idea. 4pc rods are also easier to travel with than 2 piece rods. 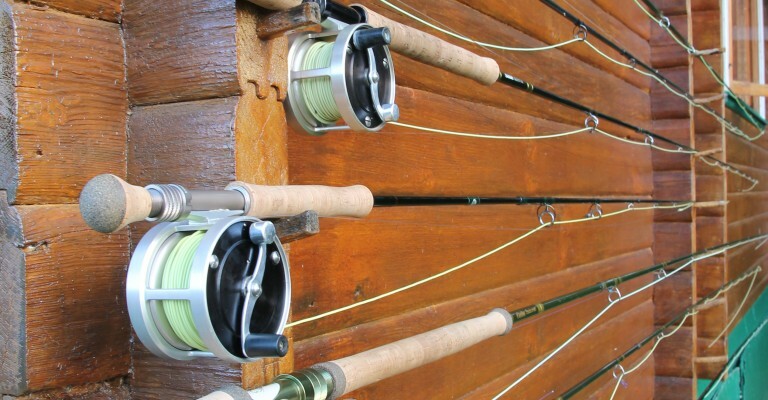 Rods should be 8 1/2′ – 10′ designed for 7 – 9 weight floating lines. Reels should have a good drag system and should be outfitted with a minimum of 100 yards of backing, 200 would be better. Floating fly lines are the norm and, again, 7-9 weights matched to your rod are ideal. Leaders again are a personal thing, in that some anglers choose to use tapered leaders and some use straight. 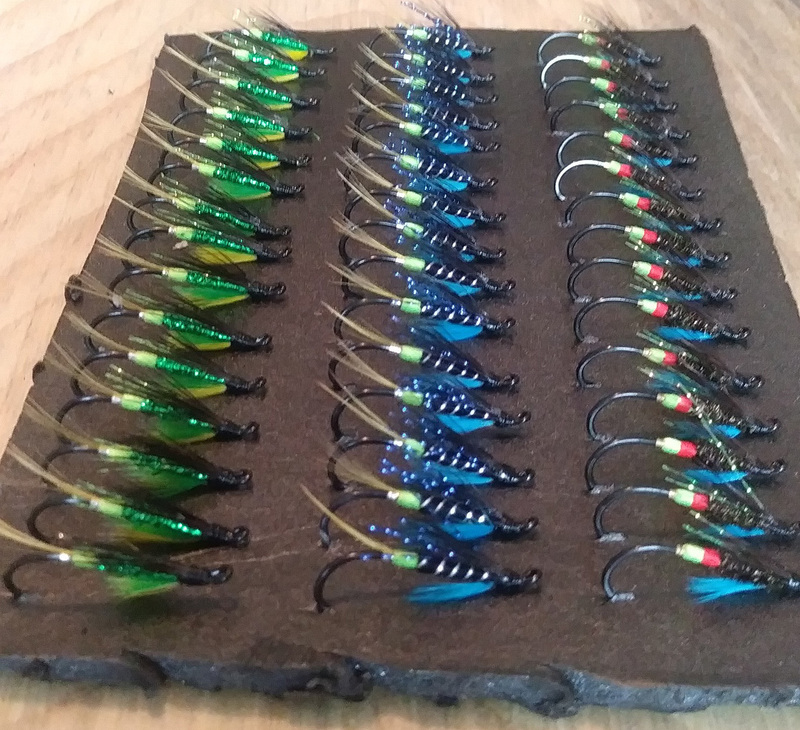 You should have 6 – 12 pound tippet, which will provide for whatever the water conditions are when you arrive. Tapered or not tapered is up to you, keeping in mind that tapered leaders are easier to turn over and as such usually lead to a better presentation of the fly. Waders are an important part of your tackle. Please make sure your waders don’t leak before starting out on your trip. Chest waders with felt or studded soles are preferred. Wading jackets/rain gear. Just as waders are important, so is your rain gear. There is nothing worse than being cold and miserable on the river. Bring a good set of rain gear or a good quality wading jacket. The Rest of What to Bring. 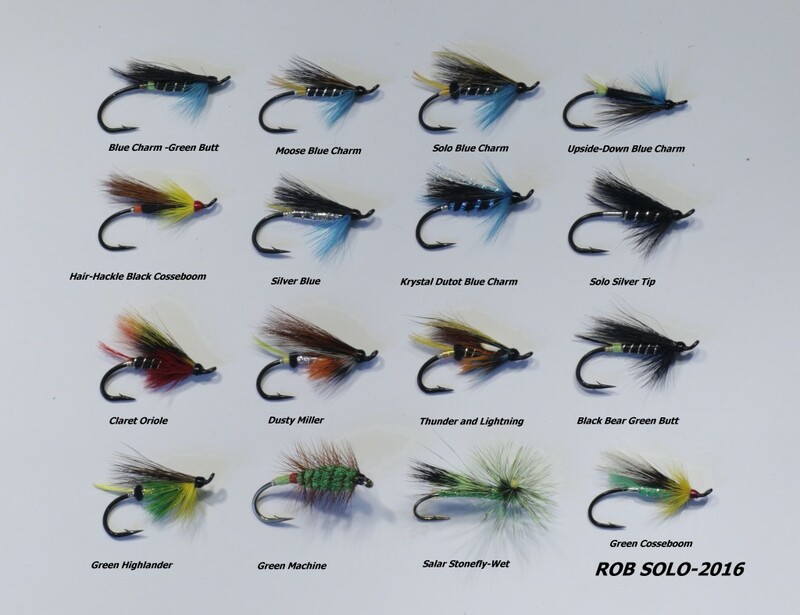 Pictured here are most of the popular patterns you’ll need at Hawke River. I say most of the time, because someone always seems to be inventing a new one that works well. Come come equipped with these and you will be good to go. If you’d like to order flies in advance of your trip, Brian Sweeney or Daryl Burry would be happy to fill your order and have it waiting at the lodge for you. 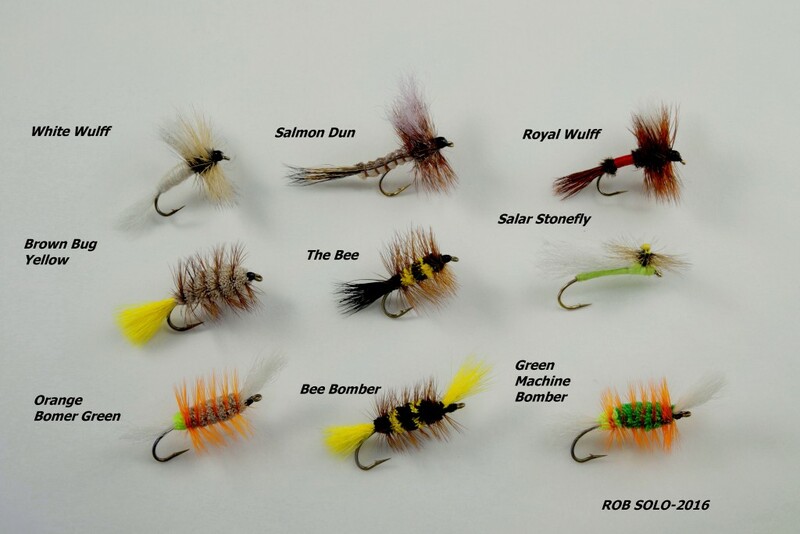 Please note that fly orders will have to be placed well in advance of the season to insure that your order is ready.